I met a woman last night who had just moved to France to model and when the hors d'oeuvres tray came by she eagerly took one. Teasing her I said, "I thought models didn't eat?" She graciously said "This one does!" and popped a Price Club quiche (or Paris equivalent) in her mouth with a big smile. That could have been her entire caloric consumption for the day or perhaps she went home and hurled the offending morsel, I’ll never know but for some reason I doubt it... So there you have it folks, living proof that it's possible to actually be a model AND eat! Someone alert the Ford Modeling Agency and Miss Moss. Not to change subjects but… another cool thing about these newfangled blogs is that the software (typepad in my case) provides statistics on all sorts of fascinating things… like who has visited my site and from whence they hail. If someone did a search and landed on my site I can tell from where and for what they searched. One search particularly piqued my curiosity. It’s seems someone searched on msn for “s*x and pantyhose”. Now I hope the same question is crossing your mind, namely… “Huh? !” as in how the heck did they end up on my little site, a site about…oh I don’t know...cooking?!?! To give them the benefit of the doubt, I suppose you could cook while wearing pantyhose and having s*x though it sounds rather dangerous, especially if grease should happen to splatter. I certainly haven’t tried it nor have I chronicled about it so why oh why did they end up on my humble site? After further investigation, it seems in my above mentioned rant on Nigella’s brown rice and seaweed salad, I used the word “s*x” with the “e” (in a completely different context and certainly not with pantyhose) and in a later post, I included the winning essay of who had the wildest Christmas contest (enter: pantyhose). And I end up on a p*rn site? So in order to avoid future embarrassment of appearing in searches on various and sundry s*x sites I have decided to insert the obliging little asterisk “*” in certain words so my G-rated site will not be sullied! At least not by anyone other than me and my asterisk-riddled profanity! So on that note… I am off to make lunch. Don’t worry, it won’t be while simultaneously having s*x and wearing pantyhose, and I can guarantee you it won’t be boiled leek broth! Now not to completely dismiss Madame Guiliano proclivity for leeks, I must admit that I too like leeks and it is prolific in French cuisine but sauté it, braise it, brown it, roast it, take it home and call it Bob, but for the love of God, please do something with it other than BOIL it to drink the resulting broth. Yuk! This is an American version of the chilled leek and potato soup derived from the French classic. It can also be served hot which is how I prefer it. This recipe is courtesy of the Cordon Blue book, Soups, from their Home Collection. Warning: do not attempt to cook this while simultaneously (not simulating) having s*x and wearing pantyhose. If you do not heed my warning and become injured, don’t blame me cuz I’ll just say “told you so!” If you don’t sear an appendage and actually enjoy it, email me immediately! I have just the web site for you! 1. on medium heat, melt butter and add leeks and celery. cook until soft, stirring occasionally, but do not allow it to brown. turn down the heat if you see this. 3. bring soup to a boil, then reduce to a simmer and cook for about 15 minutes or until the potatoes are very soft. 6. chill for at least 2 hours. 7. serve in chilled bowls. whip the remaining ¼ cup of whipping cream and garnish along with the chopped chives. bon appetit... and between you and me, I’ve seen my share of not-so-thin French women so don’t believe everything you read! Oh this entry brought back such good memories. I haven't had Vichyssoise soup in about 15 years but I definitely remember the last time I had it -accompanied by delicious fresh bagels! I'm guessing that the leek broth, recomended in the "Book" doesn't include butter? After reading your rants on this book, and many other mentions throughout the internet world, ya know, I kinda want to read it. I could use to loose a few kg's. Does this mean you won't be calling me for coffee? Hope not. Thanks for a good laugh.I was running errands today and intended to get leeks( I'm reading the book) but decided it could wait . And wait . think of it...And at least she confesses to loving chocolate! I'm late to the party, but I thought I'd add a note. The book is only a diet in the sense that it calls one to pay more attention to what's going into her mouth. And the leek soup is no secret, it's a suggestion for a first weekend cleansing to jump start the change. That's it. One weekend. The rest of the time you eat fresh, wonderful food, savoring every bite. The trick isn't the leeks... it's the absence of white flour, corn syrup, drive throughs, huge portions, and habitual consumption. I just started reading this book and I am loving it. I've always been a proponent of eating, but more importantly, eating fresh, flavorful and real food - not processed or fake. I think everyone should read this book before making the assumption that Mme Guiliano is promoting starvation and boring foods - on the contrary, she gives great recipes and encourages fresh, flavorful ingredients and enjoyment of quality food. It is clear that many Americans have lost this kind of appreciation. 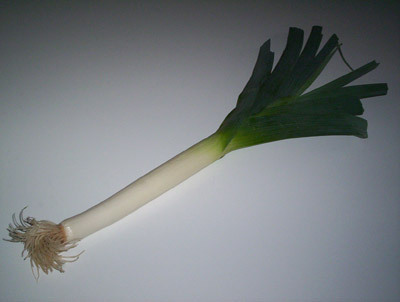 The leek soup is just for a the first weekend to cleanse your system, and you get to eat dinner on the second evening! As a male reader of Guiliano's book 'French Women don't get Fat' and starting the second day of the Leek broth weekend I need to post. Guilliano calls the broth Magical and so far, to me, it is - as I simply do not feel hungry. Overall her book contains alot of common sense. It's all about moderation and here is why it works. Counting calories is NOT in her book but let's face it... it's Simple math. 120 extra Cals per day = 3600 extra Cals per month = 1 pound. Where are you in 1 year? 12 pounds overweight. Where are you in 10 years? I tend to eat healthy anyway, but because of her book I'm really enjoying coffee without cream and sugar, I'm eating slower, and I tend to skip those second helpings. My advise - don't knock it until you try it.